Tara Westover grew up preparing for the End of Days, watching for the sun to darken, for the moon to drip as if with blood. She spent her summers bottling peaches and her winters rotating emergency supplies, hoping that when the World of Men failed, her family would continue on, unaffected. She hadn't been registered for a birth certificate. She had no school records because she'd never set foot in a classroom, and no medical records because her father didn't believe in doctors or hospitals. According to the state and federal government, she didn't exist. As she grew older, her father became more radical, and her brother, more violent. At sixteen TAra decided to educate herself. Her struggle for knowledge would take her far from her Idaho mountains, over oceans and across continents, to Harvard and to Cambridge. Only then would she wonder if she'd travelled too far. If there was still a way home. "Educated" is an account of the struggle for self-invention. It is a tale of fierce family loyalty, and of the grief that comes with the severing of the closest of ties. 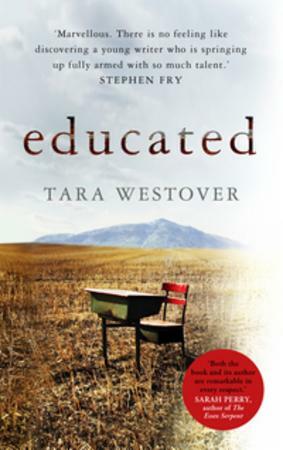 With the acute insight that distinguishes all great writers, Westover has crafted, from her singular experience, a universal coming-of-age story, one that gets to the heart of what an education is and what it offers - the perspective to see one's life through new eyes, and the will to change it.